Our daily commute exerts a lot of strain on the car body, and that often results in tiny cracks and fissures across its body. Even if this may not seem like a big issue, it can result in your car failing an MOT test. Excessive corrosion can be a real issue; these cracks can severely affect the integrity of the car chassis. However, mending this issue requires expert knowledge in welding and bodywork. That’s where we come in. We are Easington Service Station, one of the largest car service garages in the neighbourhood of Easington, Saltburn-by-the-Sea, and Cleveland. We take pride in our work, and our loyal customer base reflects that point. We begin our inspection with the most likely places that can corrode. If there is a problem, we will repair it with utmost care to make sure you don’t face a problem with it anytime soon. Other than that, we do general welding and repair jobs like panel welding, seat welding, trailer repairs, etc. We make sure that our repair job satisfies the needs of the car and you do not face any issue with a future MOT test with it. Repairing a section of the chassis. Fabrication and fitting of aftermarket parts like the spoiler, extended arches, splitters, air dams and bumper lips. Apart from that, we are also specialists in metal fabrication. We do crash repairs, accident repairs, and chassis restorations. Also, if you have a scrap car, or an MOT failed vehicle, we will buy it at a reasonable price. We even offer car disposal services to our customers. 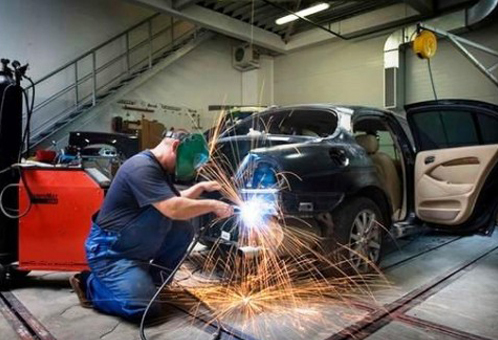 We know how much improper welding and fitting can affect a driver’s safety. A poor weld performed after an accident or to tackle normal wear and tear can end up with catastrophic results for you and your co-passengers. That’s why you should always avail the help of professionals like us. We will come up with a cost-effective solution that is sure to make your car safer and your life easier. Visit us today; we are available from 8:30 AM till 5 PM on Monday to Friday, and again from 8:30 AM to 12 PM on Saturdays.